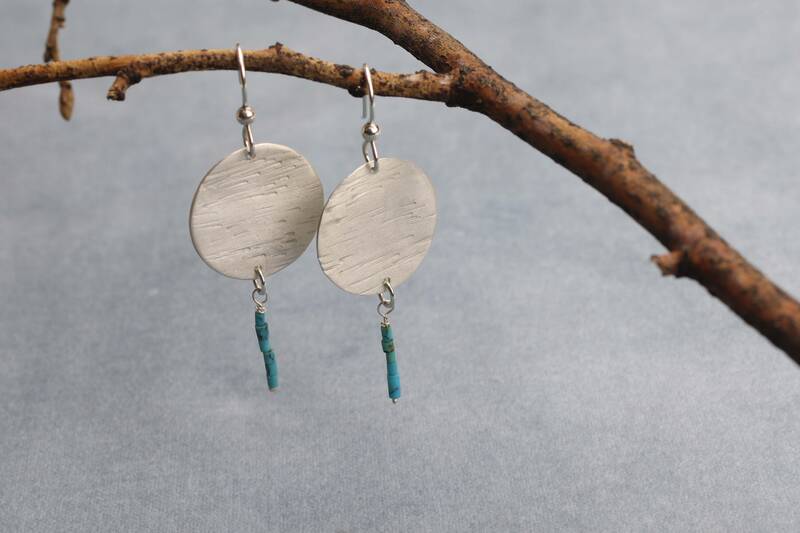 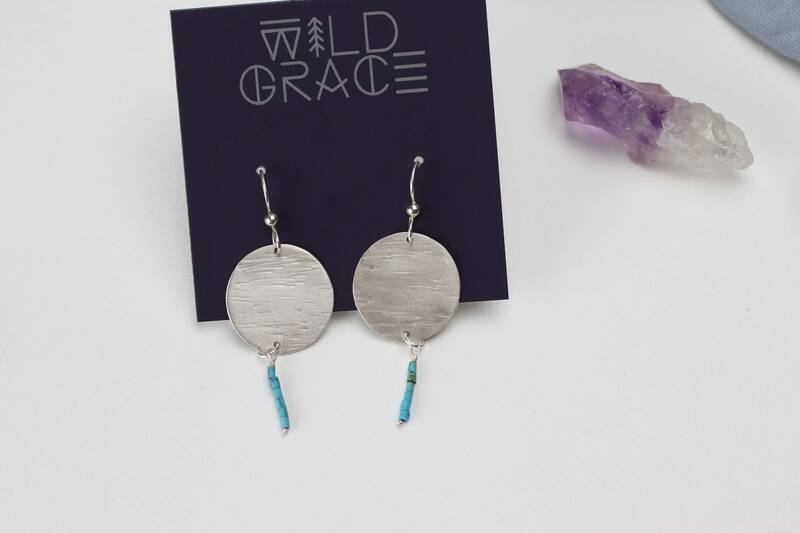 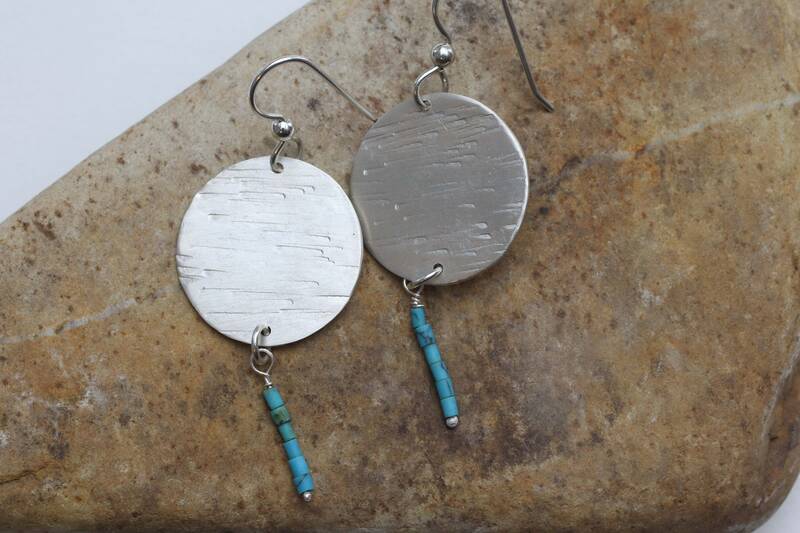 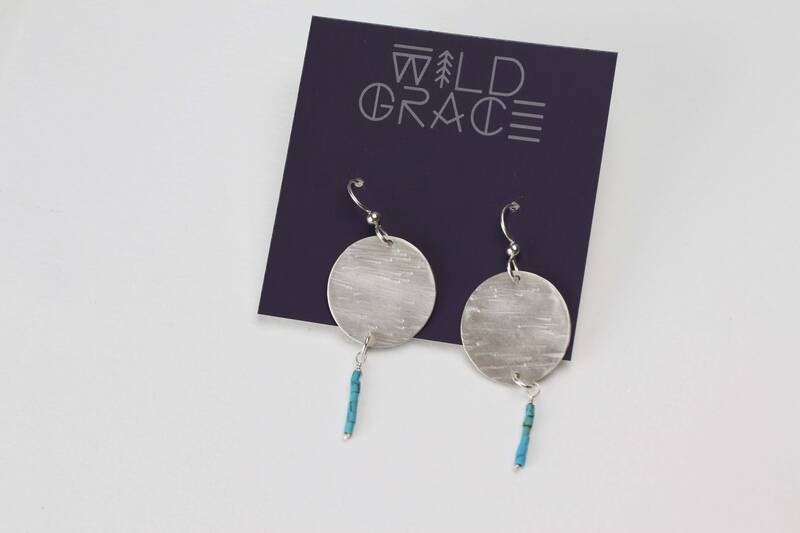 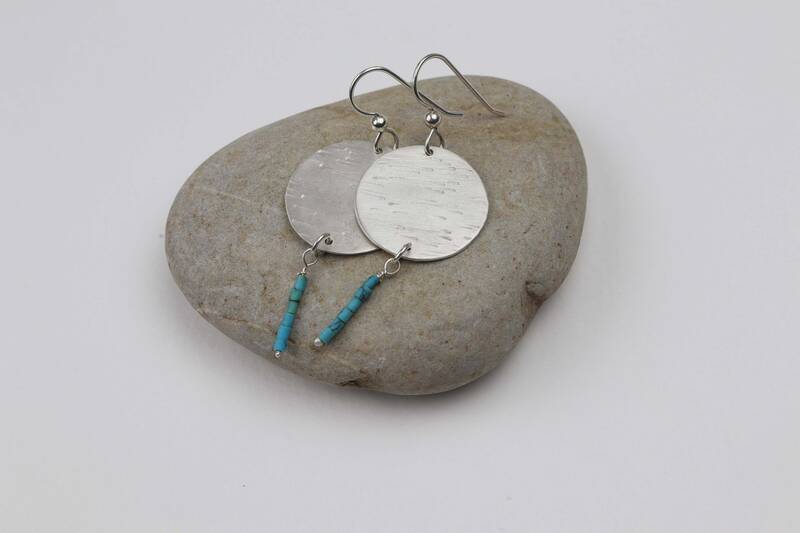 Textured Sterling Silver Disc with Genuine Heishi Turquoise Dangle Earrings. 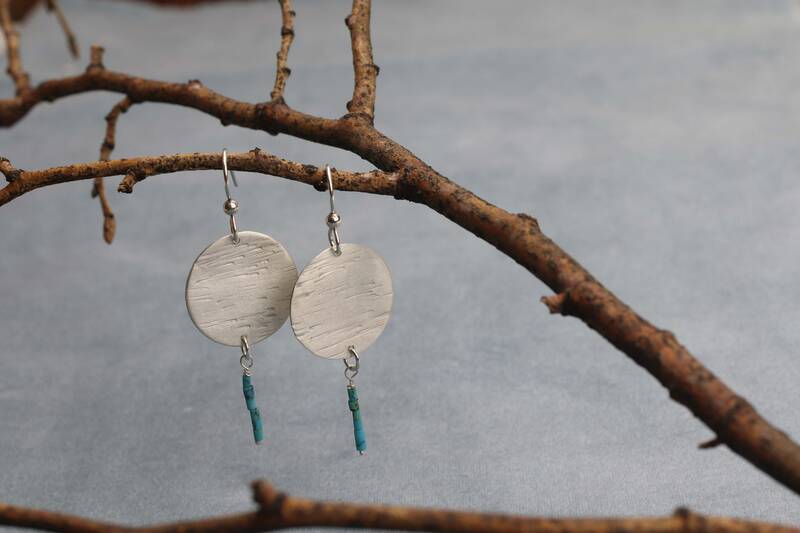 Just the right amount of movement in these dangle and drop earrings. 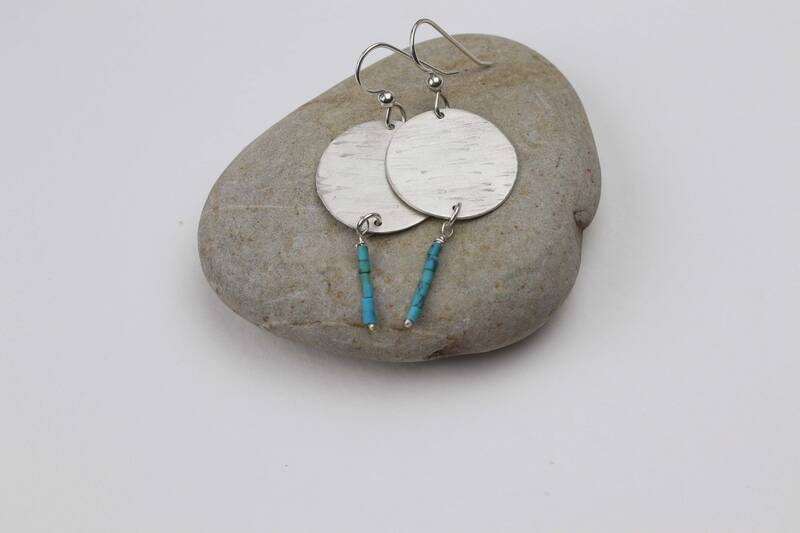 With a pop of turquoise.